A half dozen Bolingbrook residents claim to have seen a live Pokemon roaming around Bolingbrook. Though the Bolingbrook Police department denied the presence of a Pokemon in Bolingbrook, many residents claimed to have several police cars patrolling their neighborhoods. 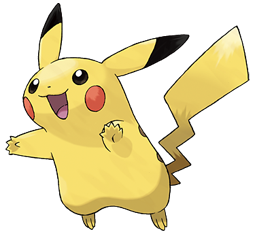 Joan, and other witnesses, say that the Pikachu was lured when the employees started playing rave music and then dancing to the music. Children started dancing with the happy Pikachu, while the police backed away. One employee allegedly told the Pikachu that they would take her back to Jen. The Pikachu clapped and blurted out “Pikachu!” He or she then followed the employees onto a tour bus. The bus then started the long drive back to Redmond Washington. When this reporter called Mayor Roger Claar’s office, the receptionist said he was busy talking to a Pokemon Go player.